A visit to the bottom team in the Premier League. Sunderland are without a win in seven matches now, and haven’t even scored a goal in that time! Barring a miraculous turnaround in form, and a comeback of Lazarus proportions, Sunderland’s ten consecutive seasons in the Premier League, including some narrow escapes in recent years, is about to come to an end. After 31 games, and with just seven to go, they have only won five games, drawn five, and lost on 21 occasions. They are currently ten points adrift of safety, with problems at both ends of the pitch. They have conceded 56 goals, which is one fewer than ourselves, and we have had considerable problems in this respect, too. But they have only scored 24 times, which is two more than Middlesbrough, and certainly not enough to win many games. Our old friend Jermaine Defoe has scored 14 of them, van Aanholt who is now a Palace player managed three from left back, and only Anichebe with 3 has scored more than a solitary goal, which has been achieved by just three other players. Where would they be without Defoe’s contribution? 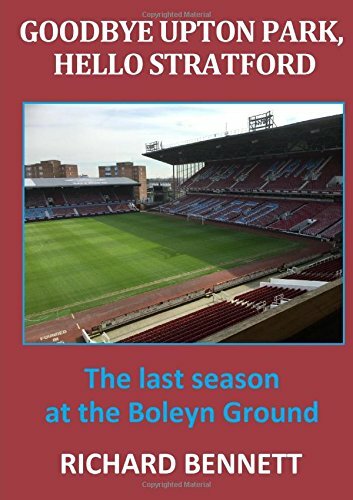 Incredibly, they scored four goals in one match away from home at Palace at the beginning of February, but that was their last win, with the previous four victories against Bournemouth, Hull, Leicester and Watford all coming within the space of about six weeks in November and December. Added to the controversy of Moyes’ post-match interview with a female journalist, they are in club in deep trouble for which there seems no way out. But, as we all know, we are famous for ending a long losing streak of a team we are about to play! They haven’t even scored a single Premier League goal in the seven games (four of them at home) played since the win over Palace, conceding 14 in that time, and picking up just a single point in a goalless draw at home to Burnley. Surely, everything points to a West Ham victory and clean sheet for the second game running, doesn’t it? Michail Antonio is now out for the season, but we would hope that the return of Carroll and Sakho, both on the bench for the win over Swansea last week, and incredibly it seems, not fit enough to play any part in that game, will improve our fire power, although I wouldn’t bet against Calleri retaining his place in the starting line-up, although he has done nothing yet to convince me of his ability to score goals. The manager seems to like him though. Our £20 million pound striker Ayew hasn’t yet looked much more convincing either, and neither Snodgrass, who hasn’t shown his ability to score like he managed at Hull, or Feghouli, look capable of goals either. Our team lacks pace all round, and despite the vocal support for our manager shown at the London Stadium last week, I haven’t yet worked out our strategy in breaking down opposition defences. Do we have one? My only real concern about playing Sunderland is the speed and awareness in front of goal of Defoe against our less than quick central defenders. Only Kouyate with his special goal at the end of an excellent move last week, and Lanzini, who is showing good form at the moment, look capable of providing the spark to create chances. Surely a victory is assured; one that would take us up to 39 points and almost certain safety (although not yet mathematical). Mark Noble has been quoted as saying that 39 should be enough. I hope that they don’t think that it is job done when (if) we reach that figure. But, you never know, we could even find ourselves in the top half of the table by Saturday evening. I reckon that, despite being less than convincing in front of goal, we will win comfortably, and I forecast a 2-0 win. If ever there was a game that we should win away from home, then this surely is it?